Affordable and practical, promote your business with the Serrano custom pen! 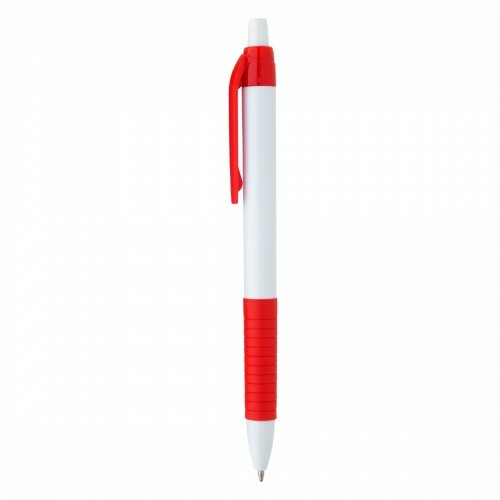 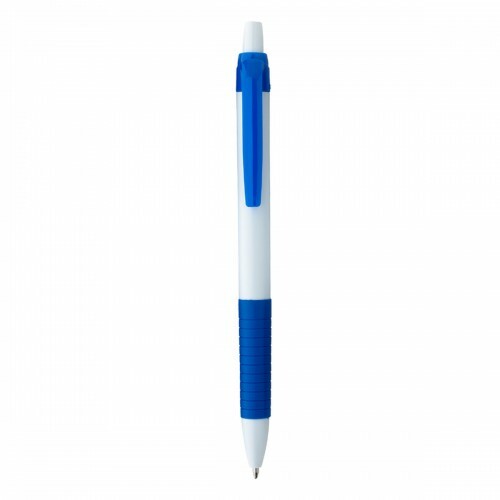 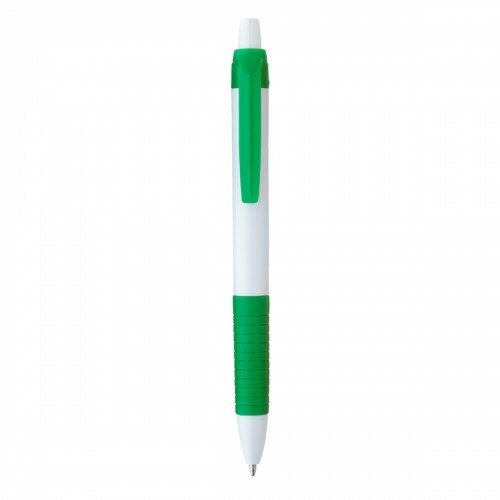 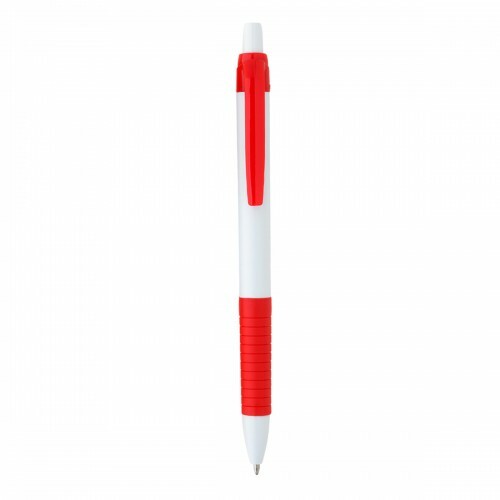 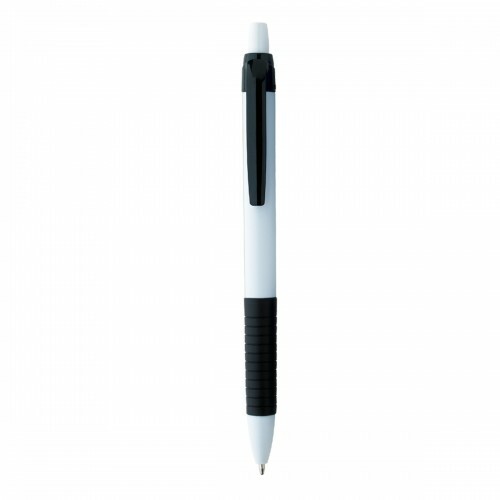 The white barrel gives this plastic click pen a clean, crisp look with a splash of color on the grip and clip. 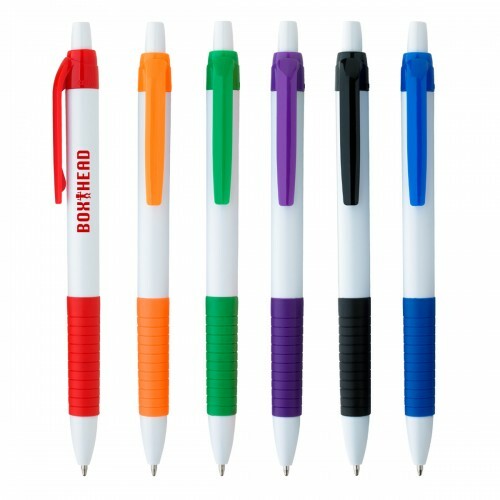 Available with a Black, Blue, Green, Orange, Purple or Red rubber grip and matching clip, this personalized pen comes with black, medium point ink and is refillable. The plunger action makes the pen easy to use without having to keep up with a cap, and the rubber grip provides for writing comfort and control. 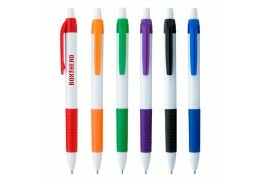 Colors: White with Black, Blue, Green, Orange, Purple or Red Trim.